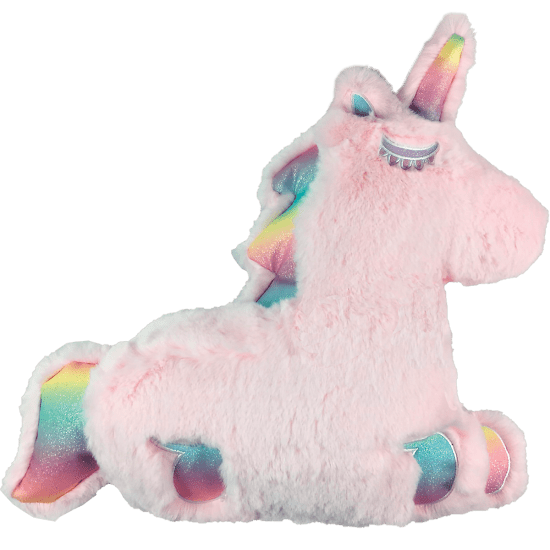 Take a little magic along to your next sleepover with our rainbow pink unicorn furry pillow. This pretty pink pillow is soft and furry and features rainbow glitter and embroidered details. Better yet, it smells like vanilla! 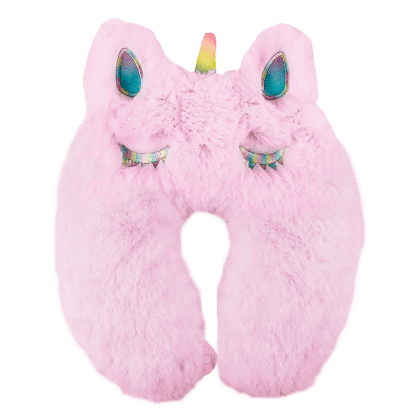 A great gift for unicorn lovers, this pillow is as fun as it is functional. 14 1/2" x 12 3/4"